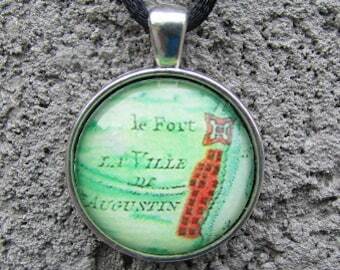 This vintage style necklace features a copy of a historic map of Boston, Massachusetts (first pic). The map titled, A plan of Boston, and its environs was created by Andrew Dury in 1776. 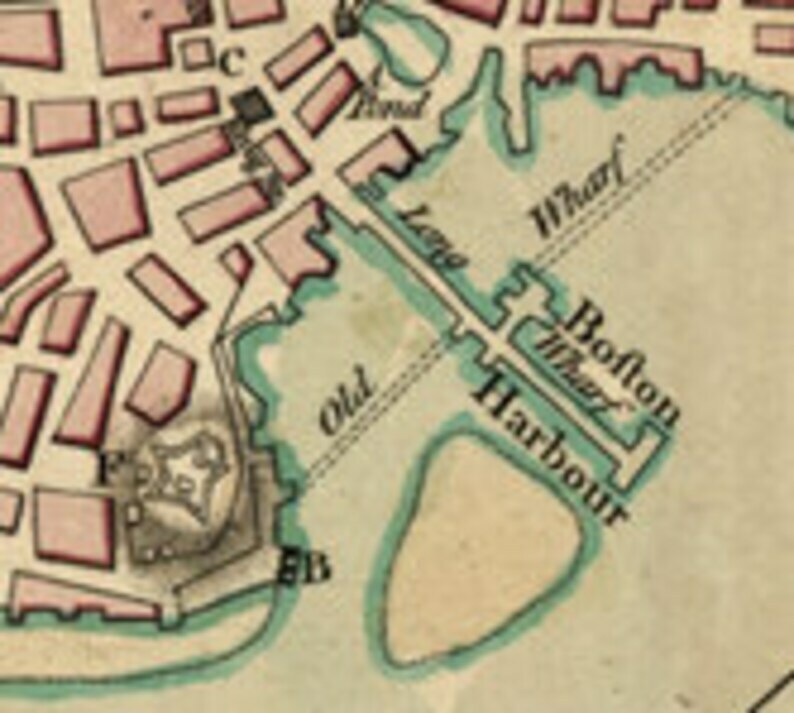 The portion of the map used for this necklace depicts Boston Harbour.